Ernesto Valverde has challenged Barcelona to keep winning without Lionel Messi, who will miss the Champions League visit of Inter Milan through injury. The Barcelona captain fractured his arm against Sevilla on Saturday and is expected to miss the next three weeks, including Wednesday's European fixture and the weekend's El Clasico against Real Madrid. 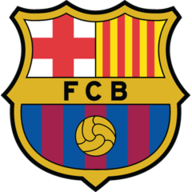 But manager Valverde wants his side to show how they can perform without their talisman, and keep picking up points in his absence. "It is clear it will affect us a lot," he said. "But at the same time it is a chance to prove ourselves without him. "We have important matches and a lot of motivation going into them. It is a period for us without Messi and we want to miss him while we´re winning." Barcelona top Group B on goal difference ahead of Inter, with both sides winning their opening two games, and visiting manager Luciano Spalletti is well aware of the tough task ahead of them at the Nou Camp. "When you come up against an opponent like this - one of the strongest teams in the world with talent in every position - it's normal not be favourites," he said. "However, we must be confident without drifting into arrogance due to the good run that we're having. We must put in a performance of great effort and mental substance. We will treat this as a key match and it is hugely important." Messi will be joined by defenders Samuel Umtiti and Thomas Vermaelen on the sidelines, who are both ruled out through injury. Inter are expected to be without Radja Nainggolan with the Belgian suffering an ankle injury in the Milan derby last weekend. Marcelo Brozovic and Ivan Perisic are also huge doubts. Barcelona have won three of their six Champions League matches against Inter (D2 L1), with the only defeat coming in the first leg of the semi-final in 2009-10 (1-3). At home, Barcelona have won four of their five meetings with Inter in all competitions, including all three in the Champions League without conceding. Their only home defeat against them was in the Fairs Cup in January 1970 (1-2). Barcelona are unbeaten in their last 13 Champions League home games against Italian sides (W10 D3), since a 1-2 loss vs Juventus in April 2003. 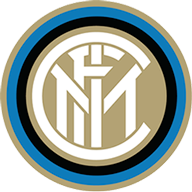 Inter are looking to win their opening three Champions League matches in a season for just the second time, also doing so in the 2004-05 season. Inter have won their last two Champions League games despite conceding the first goal in both games; only two clubs have ever won more despite conceding first in consecutive games - Man Utd (three in November 2012) and Real Madrid (four in April 2017). I know they got two late goals against Spurs but Inter are not as good as they should be and are still vulnerable. So, even without Lionel Messi, Barcelona should be just fine here and I am backing Luis Suarez to score both.